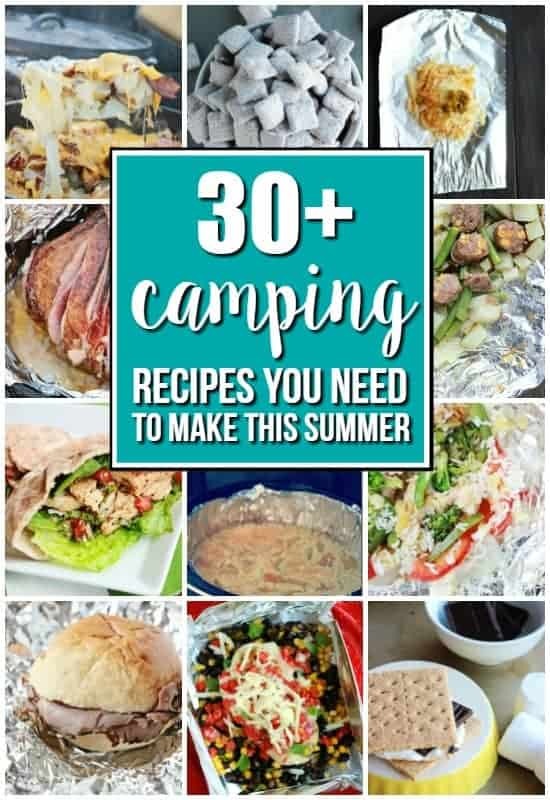 Home » Camping » 30 + Camping Recipes! 30+ Camping Recipes you need to make this summer! 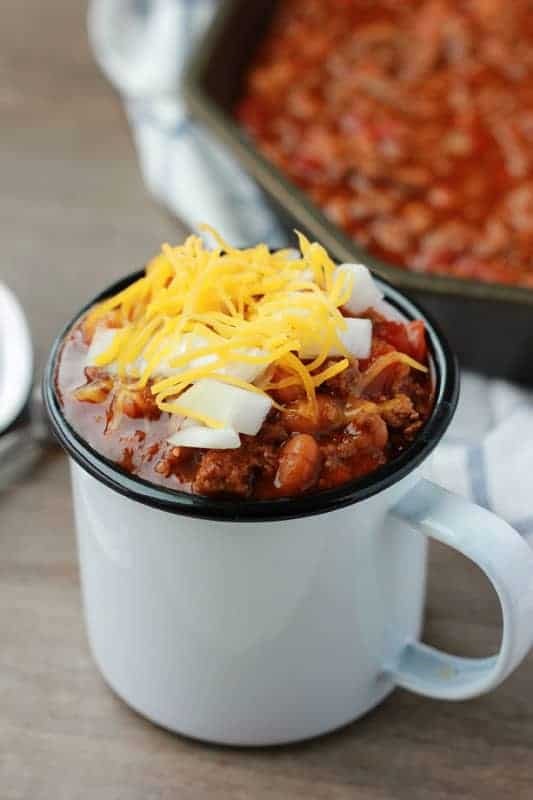 These recipes are the perfect way to fill you camping menu! This list is heavily inspired by my own camping experiences. Camping is one of our all time favorite activities as a family. Which means I am always on the hunt for good camping recipes to add to my menu. I am happy to report that each recipe has passed the very picky eater test (anyone else have a kid??) and husband belly filling test! Most of them can even be prepped before you leave which leaves you with less stress once you are at the campsite and more time to make memories! Don’t forget to pick up a copy of my first cookbook! Foiled! 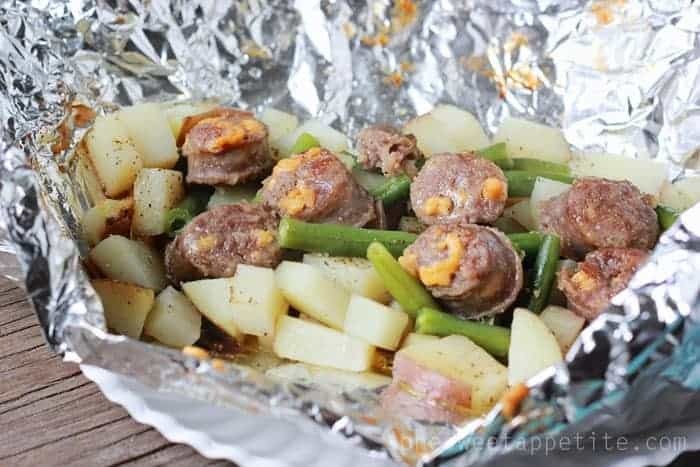 Easy, Tasty, Tin Foil Meals is loaded with amazing tin foil meal ideas! 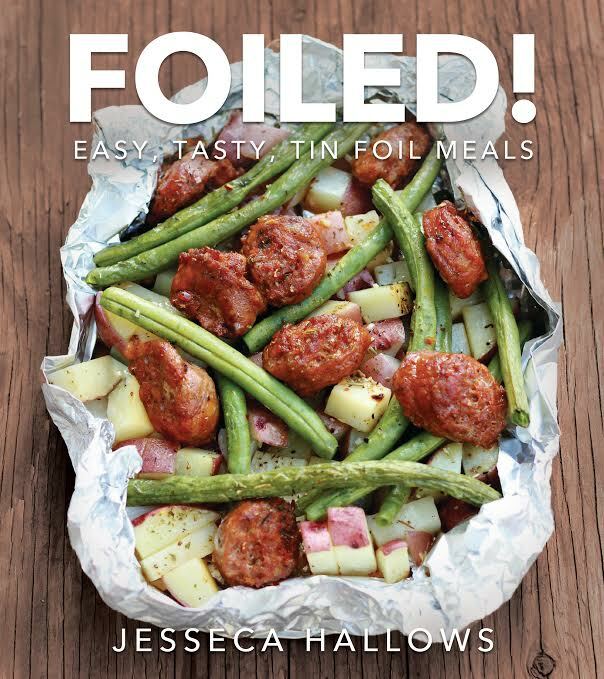 You can find everything from breakfast tin foil recipes to dinner AND dessert tin foil recipes! My personal favorite? 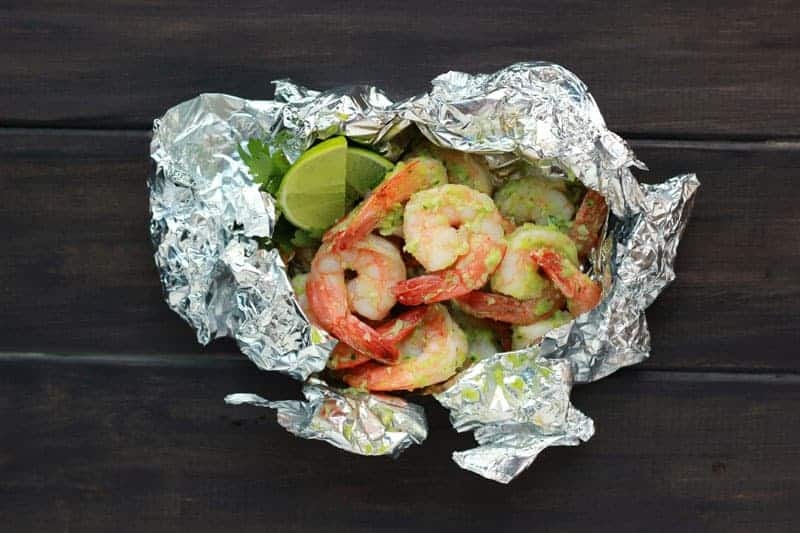 The Spicy Coconut Shrimp Tin Foil Dinner! Before we get started I want to share one important tip again. Get all of your prep-work done at home. It is much easier to just have things ready to go when you are out enjoying your vacation. You do not want to fuss over cutting potatoes or slicing up your chicken. OK. Are you ready to get this party started? Browse the selection below and click the recipe name to go to the post! Happy Camping! If you’re looking for some great inspiration on what kind of meals to add to your camping menu make sure to check out my cookbook! Foiled! Easy, Tasty, Tin Foil Meals is packed with great ideas from breakfast to desserts! Give me a shout out on social media if you give any of them a try! I’d love to feature you and your cooking adventures! this is great! we love camping. One of our favorite meals is to do taco salad. I need to do some camping related posts! This is great! I’m compiling a list of road trip recipes and will use many of these as inspiration! I recently saw a muffin baked in an orange rind that was done over the campfire. I have never done this, but it sounds really yummy! Maybe a blueberry muffin or even a corn muffin. Thanks so much for including my tortellini salad. We LOVE to have it while camping, too! Campin is definitely a way of life in our family. Some items I would add to the list are tin foil dinners and the couscous salad. And of course the smore’s. I will definitely mark this to refer to. Coming to you from Take a Look Tuesday. I’m always on the lookout for great camping recipes. Thanks for sharing your ideas! Did this at a scout camping trip once.. FANTASTIC. Brought the idea home to my husband to try. He was skeptical, but once he tried it, he was IN LOVE. Just a quick tip from a fellow blogger: Now that your blog is being passed around Pinterest, you may want to seriously consider correcting your grammar throughout the blog. And apostrophe S (‘s) should only be used to symbolize posession (Jesseca’s blog) or to abbreviate (It’s getting hot in here). The apostrophe S should never, ever ever ever ever ever ever be used in plural situations. (ie wrong: potato’s right: potatos.. wrong: recipe’s right: Recipes). If my apostrophes are reeeeeaaaaally that big of a deal, by all means, come and fix my blog for me! To be honest, I really don’t think it lower’s my credibility all that much. I’m a food blogger. So what if I have some grammar errors. I do this as a hobby, not so much to make a ton of money, or have a HUGE impact on the blogging community. I like what I do, and I love the friends that I meet. Period. I’ve had a million and ten people tell me that I needed to fix my apostrophes, and I went through and fixed a bunch. The ones in the photos are just going to stay that way, because I would much rather spend time with my son, then worry about what people think of my grammar. I think Emily meant well…….just maybe a little bit of control issue there…..lol. Your ideas were great! Wow Jessica is this what you have to put up with to put out a blog to help people with recipes. That’s pretty sad. As long as I can understand the recipes and like them I could care less whether you put an apostrophe or not. Just signed up and looking forward to trying some of these recipes. To all those who need to correct her I’m sure your not perfect. Thanks Jessica. Lighten up everyone and just enjoy the conversation and recipes. We aren’t in school anymore!! Found your blog on Pinterest … didn’t even notice (or care about) your apostrophes until ‘Emily’ commented on them! LOL …. course, Emily it’s best when correcting others that you make sure your own grammer (and spelling) is accurate. (ie wrong: potato’s right: potatos.. wrong: recipe’s right: Recipes). Excited to try out some new food ideas for camping this summer! Especially thrilled about the suggestions for toddlers! Thanks for the post!! I love the post! Thank you. This is exactly what I was looking for. We are constantly looking for camping meal ideas to get away from cereal bars, sandwiches & chips. And, no worries about grammar/spelling errors. Your “fellow blogger” made a few in her own comment to you, as well. I find you credible, as long as you are posting from experience. Oh, and I found you on Pinterest! 🙂 Happy Camping! I appreciate the time and effort you put into what you do. Nothing more, nothing less. For anyone to comment on your grammer, shows lack of class on their part. If an individual is actually concerned, I would think the ” proper way ” to address the issue would be in a private message. Not looking for any type of feedback, just stating my opinion. Thank you Brenda!! You have no idea how much that means to me! lol….it’s grammar, not grammer….at least I think so…..and I’m just messing with the whole idea of correcting someone’s food blog…now if you wrote “add a pinch of arsenic”, I might have to say something…. These tips and recipes are wonderful! We just got back from a camping trip in which I made the breakfast burritos, chicken kababs, and tinfoil dinners. 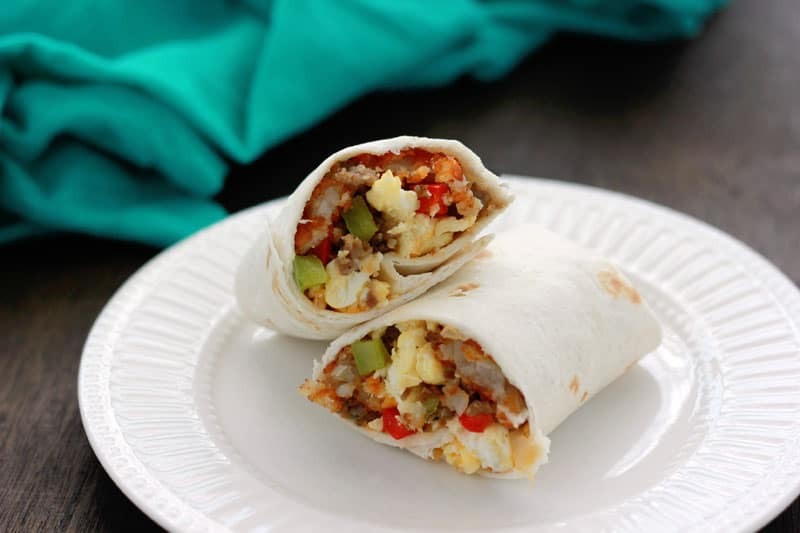 My husband LOVED the breakfast burritos! Adding the cream soups to the tinfoil dinners made the difference between my eating them and not! LOL! The kabobs were so good that we made them again when we got home from camping! Thanks!! Love this idea, but I guess I’m not as smart as I thought I was. I’m having trouble figuring out whAT the seven days of recipes are exactly. Is the Camping Recipe List meant to be a link? I only saw pictures for other postss for several breakfasts and dessert and only 2 or three ideas for dinners. What am I missing? Can you explain to me how I’m supposed to use this to get the seven days of recipes? Sorry for being dense! I’m going campning tomorrow and thought I would try these ideas. Thanks so much!! Stacy, sorry for the confusion! I posted different types of recipes every day for seven days. Gosh Jesseca, where are you located? I just entered my first comment and it’s date stamped August 20, 2012 at 3:21 AM. I’m in California and here it’s only August 19, 2012 at 8:21 PM. Just wondering. I’m in Utah. My time stamp is WAY off. Thanks for your recipes. I am a great fond of camping and always look for some nice and useful recipes that i can use while my camping. Please share some other rv recipes also. Hey everyone. Just enjoy the conversation and the recipes. We aren’t in school anymore. we camp often in the summer months. if you camp with another couple or many others, i have found a fail safe breakfast thats super easy and carries you all the way in to lunch. the nite before, wrap a country ham in four to five layers of heavy duty foil. around 10: 00 p.m. dig a hole big enough to hold the ham and cover it, close to the campfire. cover it with hot coals and forget it. in the morning slice and fry your potatoes and scrambled eggs, along with some campfire toast. dig up your ham, being very careful of the hot ham and drippings. use leather gloves for protection. the ham will be so moist that the meat will fall off the bone. any left overs can be used for sandwiches. ham, ripe tomatoes, lettuce, and mayo for sandwiches. always a big hit for lunch after a hard day of fishing. The sector hopes for more passionate writers such as you who aren’t afraid to mention how they believe. All the time go after your heart. HI JESSECA, I’M LOVING YOUR SITE. MY HUSBAND AND I HAVE BEEN CAMPING SINCE WE WERE DATING 31 YEARS AGO. AND WE HAVE RAISED OUR CHILDREN CAMPING AND THEY HAVE GROWN AND NOW ARE CARRYING ON THE TRADITION WITH THEIR OWN FAMILIES AND FRIENDS. I CAN SAY OVER THE YEARS I HAVE MADE COUNTLESS MEALS AND SNACKS. AND I ALWAYS LOOK FOR NEW IDEAS. ONE FAVORITE IS GRILLED FRUIT WITH OLIVE OIL AND BALSAMIC VINEGAR, OR FLAVORED BALSAMIC VINEGARS (EX. I USE EITHER VANILLA, LEMON, RED APPLE FLAVORS) AND I ALSO USE THEM ON SALADS INSTEAD OF DRESSINGS. THE LEMON BALSAMIC VINEGAR I ALSO USE ON FISH AND CHICKEN THAT I COOK IN FOIL PACKETS. IT CUTS DOWN ON FAT AND IS MUCH HEALTHIER. I ALSO USE IT ALONG WITH FRESH HERBS LIKE ROSEMARY, THYME, SAGE, OR EVEN BASIL. IF IT’S A SWEET DISH I ALSO USE FRESH MINT. THE APPLE FLAVOR WE USE ON PORKCHOPS OR PORKLOIN, SOMETIMES EVEN CHICKEN. BUT IT IS QUITE A STRONG APPLE FLAVOR SO A LITTLE BIT GOES A LONG WAY. THE VANILLA ONE CAN BE USED ON ICECREAM, OR POUND CAKE, SALAD THAT HAS STRAWBERRIES OR PEARS IN IT. OR OVER PEARS WITH ICECREAM. I’VE EVEN USED IT OVER GRILLED PINEAPPLE. YUM! WHEN I USE THE FLAVORED VINEGARS I DRIZZLE THE PLATE THEN PUT THE FOOD OVER IT. THEN ADD ONLY A FEW MORE DROPS HERE AND THERE. I ALSO EAT A LOT OF FRESH VEGGIES AND I USE PLAIN BALSAMIC VINEGAR INSTEAD OF DIPS. THE WINERY THAT WE GET OURS FROM HERE IN PA, THEY MAKE THEIR OWN. AND THEY HAVE SO MANY OTHER FLAVORS TOO. ANOTHER THING WE HAVE ALWAYS DONE WAS MAKE CROCK POT MEALS IF WE’RE GOING TO BE OUT ALL DAY. I DO A DISH CALLED SIMON AND GARFUNKLE CHICKEN. WHICH IS CHICKEN PARTS WITH CHOPPED ONIONS, SALT AND PEPPER, THEN SPRINKLE EACH PEICE WITH PARSLEY, SAGE, ROSEMARY AND THYME. THEN TOP WITH ONE CAN OF EACH SOUP UNDILUTED, CREAM OF CHICKEN, CREAM OF MUSHROOM, CREAM OF CELERY, CREAM OF ASPARAGUS AND CREAM OF ONION. IT DOESN’T MATTER WHAT BRAND YOU USE, WHEN MY MOM AND I MADE THIS RECIPE WE USED CAMPBELL’S BUT THERE ARE MANY OTHER BRANDS OUT THERE, JUST USE YOUR FAVORITE. WHAT’S IMPORTANT IS THAT YOU MAKE SURE THE ASPARAGUS, CELERY, AND CREAM OF ONION ARE USED. THE CREAM OF CHICKEN AND CREAM OF MUSHROOM JUST ADD MORE FLAVOR. THE AMOUNT OF CHICKEN TO USE DEPENDS ON HOW MANY PEOPLE YOU NEED TO FEED. THIS MAKES A LOT OF GRAVY! IT MELTS AND MIXES WITH THE JUICES FROM THE CHICKEN. DO NOT ADD LIQUID. I ADD ALL MY PEICES TO THE CROCK POT. EMPTY ALL THE CANS INTO THE CROCK, AND MAKE SURE THE CHICKEN IS COVERED. PLACE LID ON THE CROCK. PUT ON HIGH FOR 3 HOURS OR MED. FOR 5 HOURS. OR HIGH FOR 1 HOUR (WHILE YOUR MAKING BREAKFAST) AND MED FOR 3-4 HOURS (WHILE YOUR OUT TOURING OR HIKING OR AT THE BEACH FOR THE DAY.) WHEN YOOU COME BACK, MAKE SOME RICE OR NOODLES TO GO WITH IT. WHILE YOUR COOKING THE RICE/NOODLES.. TURN CHICKEN AND STIR THE GRAVY. THIS CAN ALSO BE BAKED IN AN OVEN AT 350°FOR 1 1/2 HOURS. THIS IS ALSO A WONDERFUL PARTY FOOD. JUST DOUBLE THE AMOUNT OF SOUPS AND USE A LARGE PAN. NOW I NOTICED THAT YOU HAD SOME PEOPLE COMMENTING ABOUT YOUR GRAMMAR. LOL WOW! FIRST OF ALL.. DON’T WORRY ABOUT THEM AT ALL. YOU KEEP DOING WHAT YOU DO! WE ALL CAME TO YOU! IF WE WERE LOOKING FOR A POLITICALLY CORRECT COOKING SITE, WE WILL LOOK UP RECIPES IN OUR COOKBOOKS! YOU’RE A REAL PERSON DOING ALL OF US A SERVICE BY WRITING ABOUT FOOD! WHICH YOU DIDN’T HAVE TO TAKE TIME AWAY FROM YOUR WONDERFUL FAMILY TO DO. RIGHT? I’M SIGHT IMPAIRED AND GET TOLD ALL THE TIME ABOUT THE PROPER WAY TO USE ALL CAPS. BUT THOSE WHO DON’T UNDERSTAND ANYTHING ABOUT ME DON’T REALIZE THAT FOR PEOPLE WITH SIGHT PROBLEMS IT’S QUITE HARD TO SEE LOWER CASE LETTERS. MANY THINK I’M YELLING AT THEM LOL BUT I’M FAIRLY SOFT SPOKEN. AND I DON’T “yell” UNLESS I HAVE TO! I’M ALWAYS AMAZED HOW PEOPLE SEEM TO TELL PEOPLE WHAT TO DO AS IF THEY ARE BETTER THAN EVERYONE, EVEN WHEN THEY ARE DOING THE SAME THINGS THEMSELVES. YOU HAVE AN AMAZING BLOG AND SITE. YOU KEEP DOING WHAT YOUR DOING. I FOUND YOUR SITE ON PINTEREST BTW. AND I AM SO GLAD I DID! I AM SIGNING UP FOR YOUR NEWSLETTER!